If you saw my recent haul, you will have read that one of the products I was most excited to try was the GLAMGLOW Thirstycleanse Daily Cleanser because I am already a huge fan of the ThirtyMud Mask. Although the GLAMGLOW masks are more expensive than all of the other masks I own, I think that the price tag is justified due to how effective they are. I have been using this for almost a week now, twice daily & want to share my initial thoughts with you. As with all GLAMGLOW products, the packaging is quite heavy and bulky. The cardboard tube that the product comes in states that the cleanser "hydrates, restores moisture, replenishes and calms". These are exactly what my skin needs because it is dry, sometime dehydrated, sensitive and sometimes has red patches, so I was very excited to try it. This cleanser is unlike any other than I own because I tend to use balms and sometimes gels, but never foam cleansers. 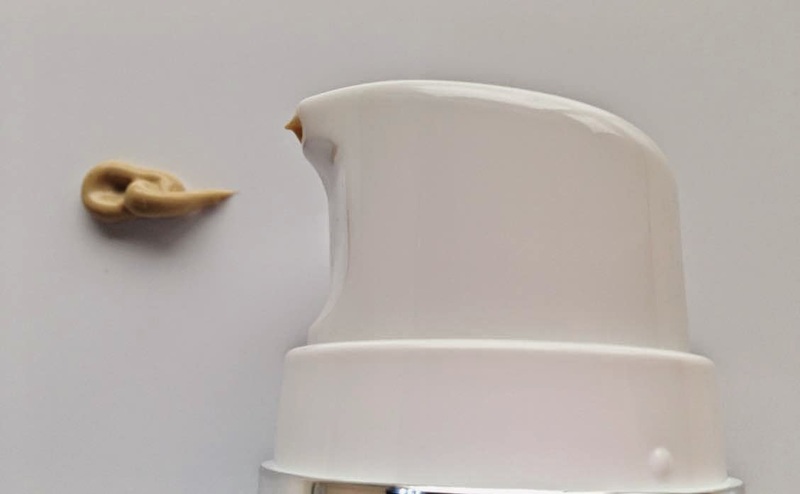 This is not just a foam cleanser, it is a mud to foam cleanser and it is described as being suitable for all skin types and for both men and women. It contains yellow clay, which helps remove skin impurities, coconut water for hydration, olive milk for replenishing the skin, plumeria flower blossom extract to restore the skin barrier function and Indian gooseberry which helps the clarity of the skin. The directions say to apply 2 to 3 pumps of the product on to fingertips & then massage onto dry skin. This was far too much product for me - 1 pump is ample unless you are removing make-up (I remove most of my make-up using micellar water first). You then moisten your hands and use circular motions to create a foam, then add more water to increase the foam and massage further, then rinse thoroughly. The product has the same sweet, caramel scent as the mask, which I am a huge fan of but at the moment, this product doesn't wow me as much as the mask. Don't get me wrong - I really like it, but for the price tag and because of how much the masks in the range wowed me, I expected more. My skin doesn't feel as hydrated as I had hoped, however I know that I need to give it more time because it has only been a week (not even!). Surprisingly for a foam cleanser, it hasn't left my skin feeling stripped so maybe if you had normal skin, you would notice more hydration, but my skin needs that extra boost. I haven't had any bad reaction to it and it is enjoyable to use, but for me, for now, it is just not a WOW product. However, in a few weeks time I will update you to tell you if my thoughts have changed or if my skin has improved over time. Do you have your eye on any of the cleansers in the range? What products have you used that have left you feeling underwhelmed? I've been undecided about this - I really want to like it but I feel like I have such high hopes because I like the masks so much! I definitely need something a bit more hydrating too. I'd love to hear how you find it over the next few weeks as well, and if you find it any better. With my combo/oily skin I'd probably rather go with the other one in the range, but nevertheless enjoyed the review to get a feel for the line! Thanks for sharing!